Then the bodhisattva great being Avalokiteśvara said to the Blessed One, “Blessed One, bodhisattvas should not train in too many qualities. Blessed One, bodhisattvas should serve and understand one quality well, and then all the qualities of the Buddhas will be in the palms of their hands. What is that one quality? It is great compassion. 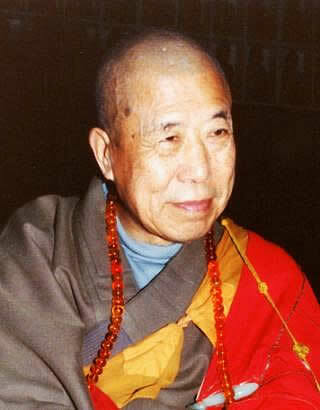 Blessed One, through great compassion, all the qualities of the Buddhas are in the palms of bodhisattvas’ hands. For example, Blessed One, wherever the treasures of a world-emperor goes, his army will go. In just the same way, Blessed One, wherever there is great compassion, there are all the qualities of a Buddha. For example, Blessed One, when the sun rises, sentient beings engage in many activities. In just the same way, Blessed One, when great compassion rises, all the other qualities that lead to Awakening become abundantly active. For example, Blessed One, all the sense-faculties, having mind as their basis, fully grasp their own objects. In just the same way, Blessed One, all the other qualities that lead to Awakening, having great compassion as their basis, fully perform their own functions. For example, Blessed One, when life is present, the other faculties operate. In just the same way, Blessed One, when great compassion is present, all the other qualities that lead to Awakening operate.